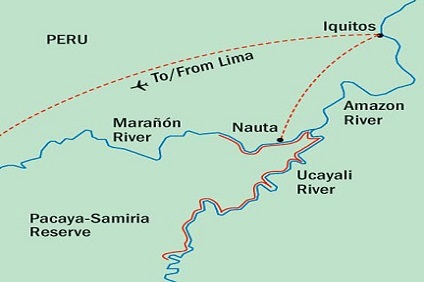 7 Night Cruise sailing from Nauta roundtrip aboard Delfin II. Hotel stays pre and post cruise in Lima. 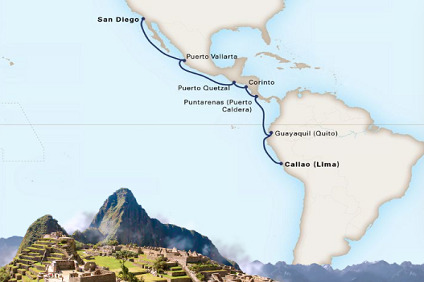 14 Night Cruise sailing from Callao to San Diego onboard Amsterdam. 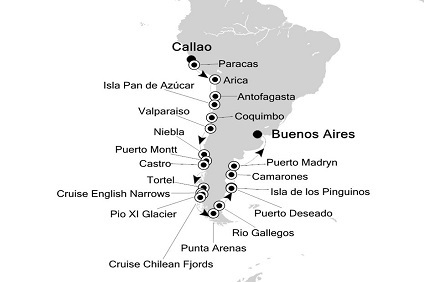 25 Night Cruise sailing from Callao to Buenos Aires aboard Silver Cloud. 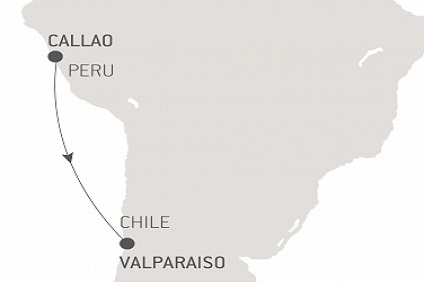 4 Night Cruise sailing from Callao to Valparaiso onboard L'Austral. 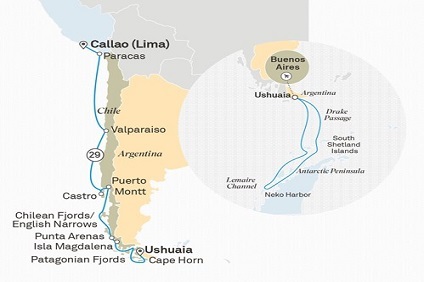 29 Night cruise departing from Lima to Buenos Aires onboard Scenic Eclipse. 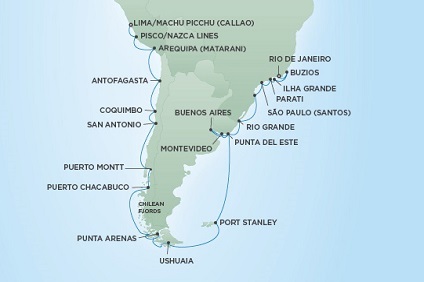 31 Night Cruise sailing from Callao to Rio de Janeiro aboard Seven Seas Mariner.